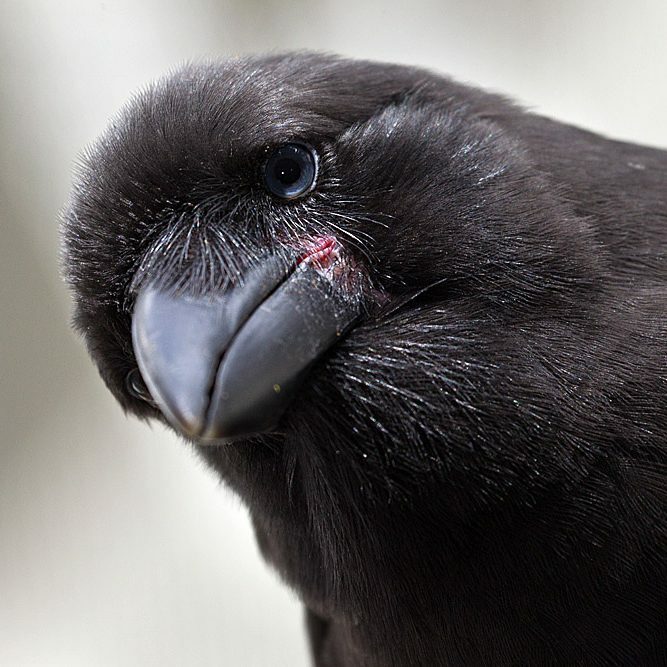 The Hawaiian Crow (Alala) Release: What Went Wrong and What’s to Come? Sunday, March 19 2017 – Ivy Ashe from the Hawaii Tribune-Herald posted an amazing article today about the Hawaiian Crow (Alala). This past Thursday, Mokupapapa Discovery Center hosted a community talk revolving around the Alala release efforts; the reasons behind the fatality of three of the five released crows and what’s in store for future efforts. As a quick background, the Alala have been extinct in the wild since 2002 and conservation biologists have been raising these crows in captivity for years. This past December, they released five juvenile male Alala back into Big Island wild. Within a week, three were dead. They captured the remaining two and brought them back to the Keauhou Bird Conservation Center. Many people concerned about the fate of the Alala awaited the necropsy reports for further explanation as to why these birds died so quickly. As it turns out, two crows were killed by the Io (Hawaiian Hawk) and the other died of starvation. Conservation efforts can be a real tricky thing. Raising birds in captivity and releasing them into the wild, one can’t be sure how birds will respond to an unknown environment. This release provided insight as to what adjustments can be made to better provide these crows with the tools they need for success in a wild environment. Ashe writes that three key changes will be made to the Alala release program. First, the release location will take place at a higher elevation, with hopes of keeping the Alala above the Hawaiian Hawk’s range so no predation occurs. Second, should a hawk venture higher in elevation and pose a threat, Alala in captivity will receive predator aversion training where they’re placed faced to face with the Hawaiian Hawk (albeit in an enclosure with a barrier separating the two). If on repeat exposure, the crows exhibit signs of fear, they will be better candidates for release. Finally, biologists will provide more food at release sites so birds can learn to forage in the wild with supplemental food as a backup. In addition, a total of 12 birds will be released into the wild instead of five; the first two males who survived release number one, seven females, and three additional males. The next release is planned for late summer or early fall. In the past, people have repeatedly asked about the initital release, almost putting pressure on the team to get those crows out into the wild ASAP. It needs to be said now that we all get it if this date gets pushed back. As aforementioned, conservation work can be a tricky thing. We applaud the efforts undertaken thus far and understand the intricacies. Take as much time as needed. To all the people dedicating so much effort to help save this beautiful corvid, the Alala, mahalo nui loa!